Dana Point is a hidden treasure in Orange County for corporate team building and leisure. You’ll find gentle waves, vintage schooners, cliff top hotels, and tall ships framing the harbor. Book your group into the Laguna Cliffs Marriott for breathtaking views of Dana Point Harbor and the ocean beyond. 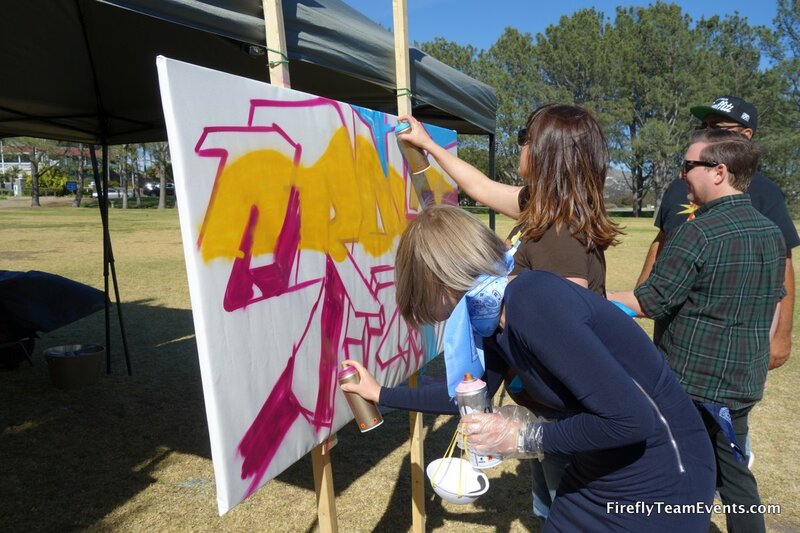 Lantern Bay Park is the perfect location for a team olympics or graffiti event. With it’s location above the harbor you’ll get ocean views as your sales or management team work on trust, communication, and leadership.We’ve been seen launching rockets and painting graffiti in the park. The harbor itself boasts dolphin safaris and kayak or stand-up paddleboard rentals. We can host an Outrigger team building Challenge or Sand Sculpture for your next meeting, event or conference. It’s easily accessible from the 405 and surrounded by beautiful beaches and village-like community. 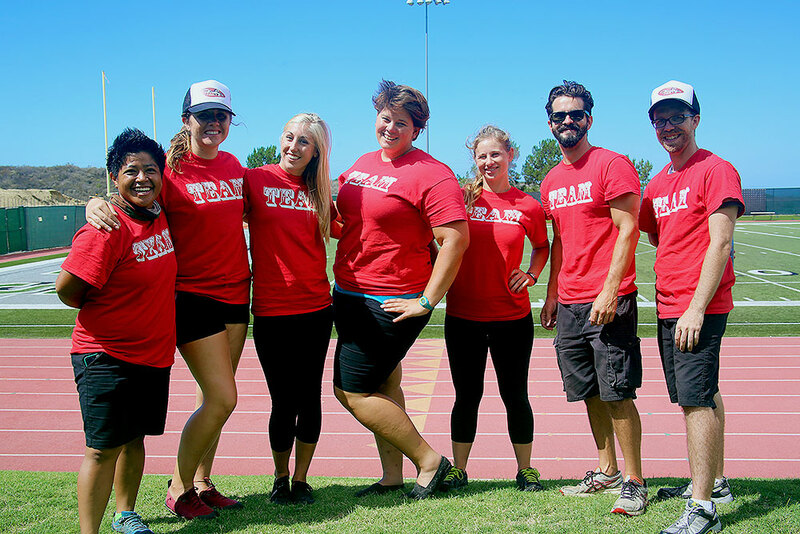 Let us create memories for you and your team in Dana Point. 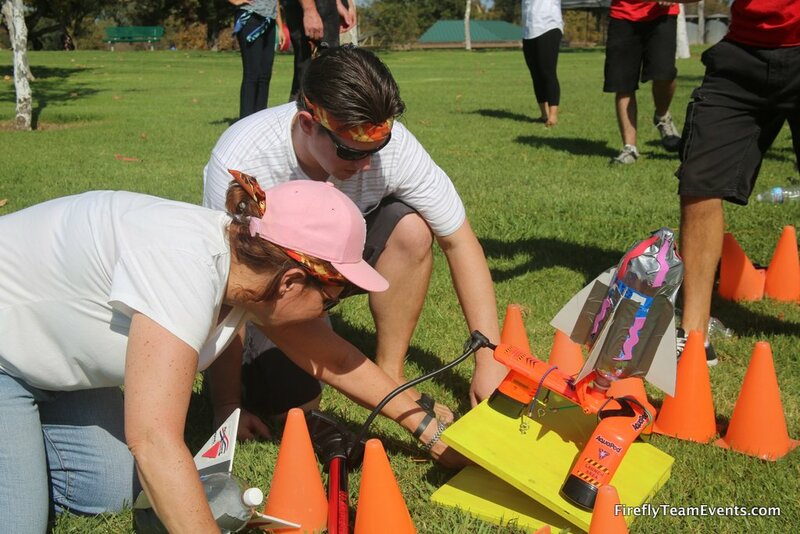 Call us at 877.267.1939 to plan your next Dana Point team building event or email events@fireflyteamevents.com. View our full events list to see what kind of fun you can have in South Orange County. Iron Team Challenge – The perfect blend of team building and fun competition for your next meeting. Teams will compete to earn the top spot next to gorgeous views of the pacific ocean. Check out a recent team olympics at Salt Creek park next to Ritz-Carlton Laguna Niguel. The Irvine Marriott is within minutes of Mason Regional Park, John Wayne Airport, Newport Beach, and several other key Orange County landmarks. Planning a team building out of the Marriott gives you plenty of options.